Mikiko Britton is a play advocate, a mother of 2 young home-schooling boys and a Certified Go Diaper Free Consultant. Mikiko and her husband tried Elimination Communication with both their boys and, although there were different challenges at the time, they were very happy with the outcome. EC has made her mom life cleaner, easier and much more enjoyable. 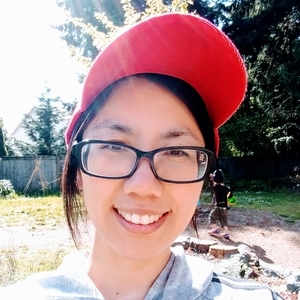 Mikiko is also a founder of HIDAMARI Exploration Studio & Child Care in Nanaimo, BC. She enjoys researching and geeking out on science-based parenting, innovative early learning and child care, and she hopes to create a supportive community where she and her staff offer a wondrous environment for young children and families. Serving Nanaimo and surrounding areas.